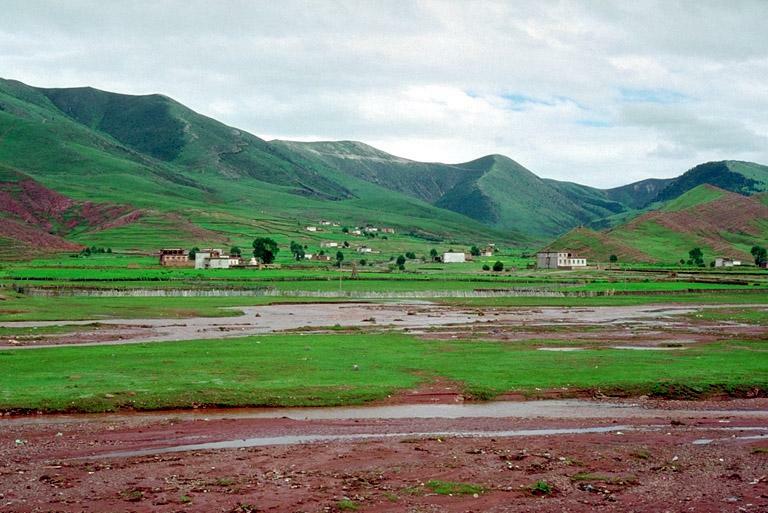 Xizang (Tibet):Mangkang (Markham) Xian:Markam City. Hills on W side of Zhongyen River ca. 10 km N of the city of Mangkang (Markham). Heavily grazed Kobresia and Carex meadows with scattered islands of Picea, Juniperus and colonial Rhododendron. 29°44'43"N, 98°34'41"E; 4010-4160 m.